The brand value of the Indian Premier League (IPL) has increased. [New Delhi]: The brand value of the Indian Premier League (IPL) has increased. The brand value of IPL has increased by 19% to $ 6.3 billion (43 thousand 260 million rupees) compared to last year. In 2017, its brand value was $ 5.3 billion (36 thousand crores). The Indian Premier League, which started 11 years ago, has been successful in enhancing its credibility at the world level. According to reports of Duff and Phelps, the IPL's viewership has increased and the brand values ​​of the teams have also increased. According to the report, in the 2018 season, the IPL had got a new broadcaster in the form of Star India, which bought the transmission rights for the league for the next five years for Rs 16347.5 crore. It has also been said in this report that this is the first year when all tickets for all matches were held in the league. 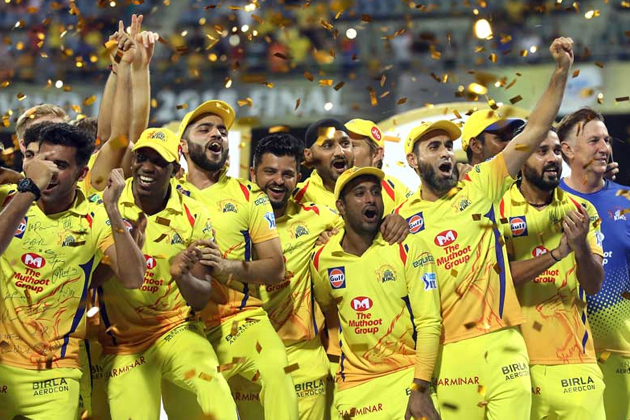 In 2018 Chennai Super Kings took possession of the title. Although the Chennai Super Kings were banned for two years, the team made a tremendous comeback. Duff and Phelps is New York's Corporate Finance Advisory firm. According to Varun Gupta, managing director of Asia Pacific League for Valuation Services, a big partnership with Star India has helped increase the brand value of the IPL. The IPL has since joined the world's major leagues (on the basis of fees per match). Increase in brand value, sponsors, broadcasters and advertisers have also increased. It is known that the IPL 11 is broadcast in 8 languages ​​on 17 channels. According to the report, Star India earned 2000 crores from Advertising Revenue. This is 54% higher than the previous season. In 2017, the Sony Network had earned Rs 1300 crores from Ed Revenue. According to the report, Mumbai Indians and Kolkata Knight Riders are the two most popular franchises of IPL, which have crossed the $ 100 million mark. The value of Mumbai Indians has increased by 7% and now it has reached Rs 775 crores, while the brand value of Kolkata Knight Riders has increased by 5% to 714 crores. The brand value of Chennai Super Kings, led by Mahendra Singh Dhoni, has increased to Rs 672 crore. Royal Challengers Bangalore's brand value is $ 98 million (about Rs 673 crore). Delhi Daredevils (52 million dollars, about 357 million rupees), Sunrisers Hyderabad ($ 70 million, about Rs 481 crore), Rajasthan Royals ($ 43 million, Rs 295 crore) Kings XI Punjab ($ 52 million, around Rs 357 crore) is. This also increased the viewership by 15%. 20.2 million viewers have seen the IPL through video streaming (Hotstar). How to add HTML YouTube Videos? How To Share Live Location With Anybody Using Facebook Messenger? Who stole the show at 91st Oscars?